The live room with high ceiling and wooden floor is the place to play together while using our instrument and amplifier backline with drumkit. Multiple drummers have recomended this room to fellow musicians. The sound is perfectly balanced on behalf of the high ceiling (approx. 5 meters). Use our backline of instruments, bring your own or ask about our Instrument Specials and Rentals. In the control room you work on your music and record with high quality microphones, preamplifiers and an extensive backline of instruments and studio gear. Want to bring your own studio technician? No problem! 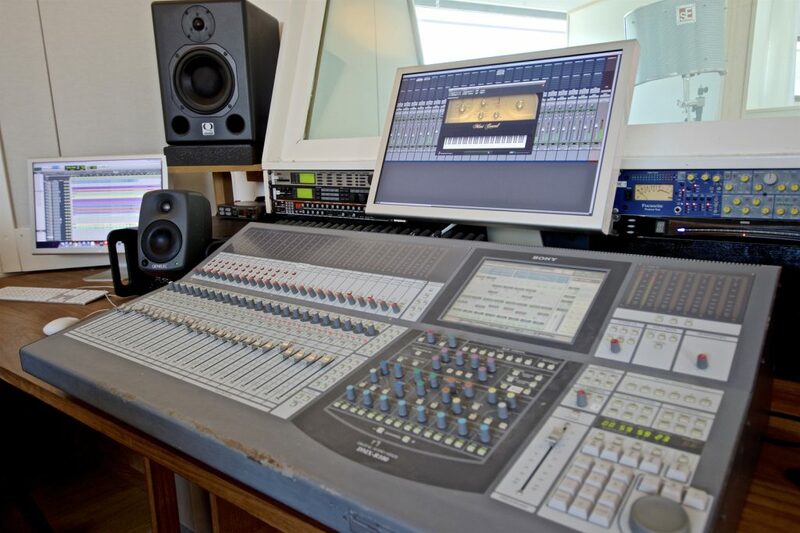 In any other case, our onsite audio technicians or producers, are available upon request. Work with the onsite audio technician to fulfil your musical and technical wishes. Both houses are located only 200 meters apart. This way Music Writing Place can accomodate up to 20 guests. So feel free to bring family and friends or your entire crew! You would like to record music?